It feels like we’ve been waiting for warm weather for so long that it’s almost unbelievable that it’s actually finally here. But oh is it ever wonderful! The sun is shining, plants are in full bloom and the overall mood on the streets is so much more uplifting and joyful. It’s the perfect time to add some new pieces to our wardrobes to embrace the season with open arms. 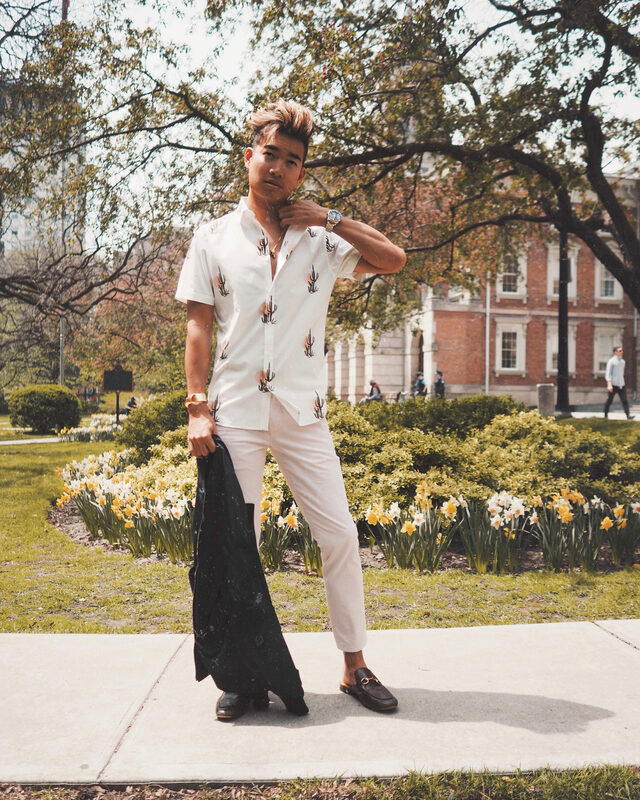 I’ve partnered up with Bonobos to create this look; an updated take on a classic spring outfit. 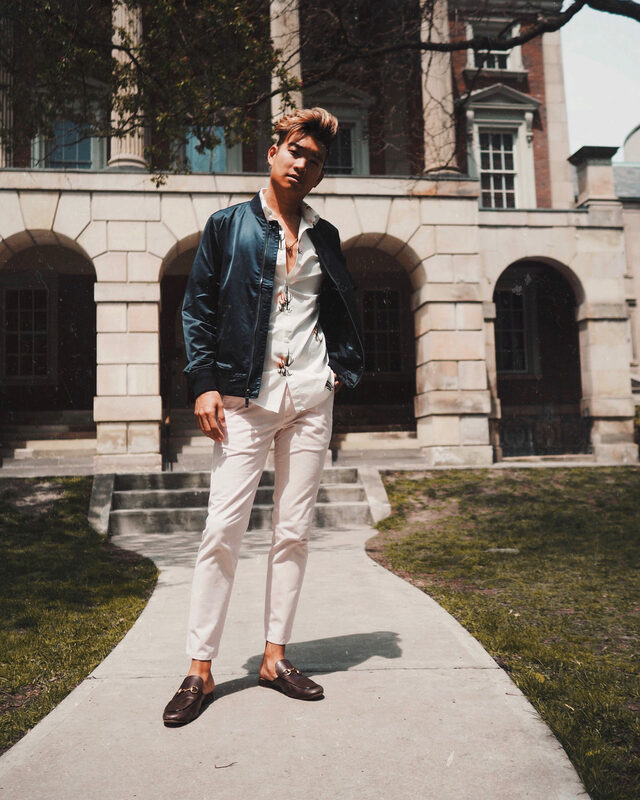 I love when you can create an entire look in one place and Bonobos is one of those places. The collection spans a wide range of offerings and they very conveniently all work together effortlessly. So you can shop with the confidence that everything you choose will be easily mixed and matched, taking you through the season in style. 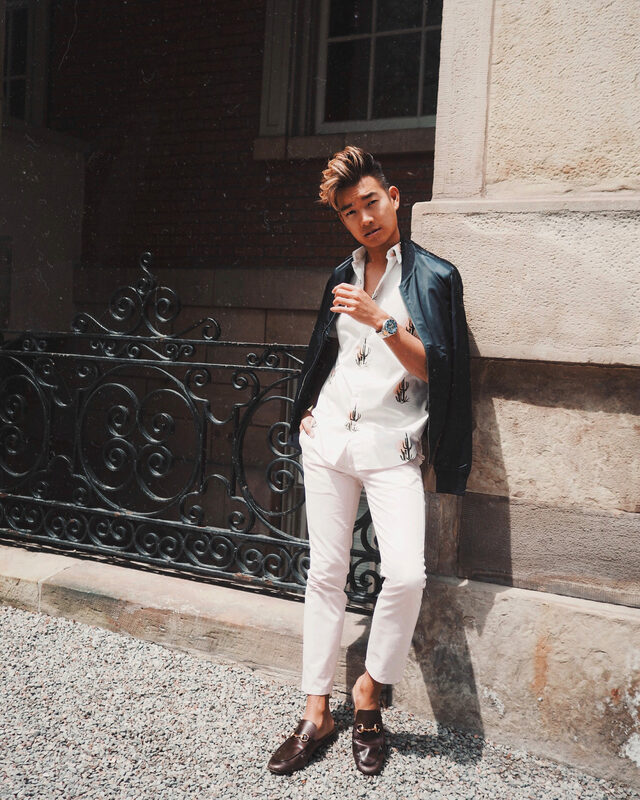 For this look, I started with a summer classic: the short sleeve shirt. Bonobos’ Riviera Short Sleeve Shirt comes in 63 different colors and prints, 3 different fits and 3 different lengths. 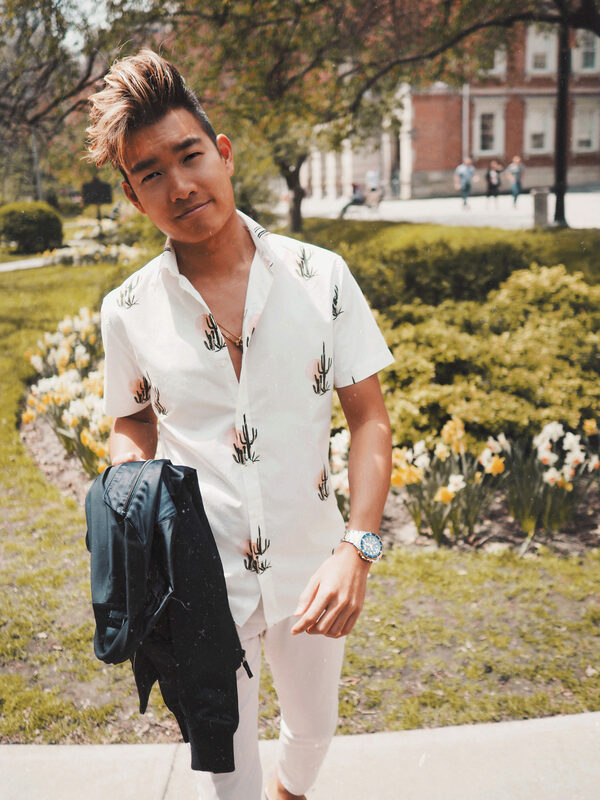 I chose this desert cactus print and took the standard fit and regular length. From there, I paired the shirt with Stretch Washed Chinos in “Lovebirds” pink. 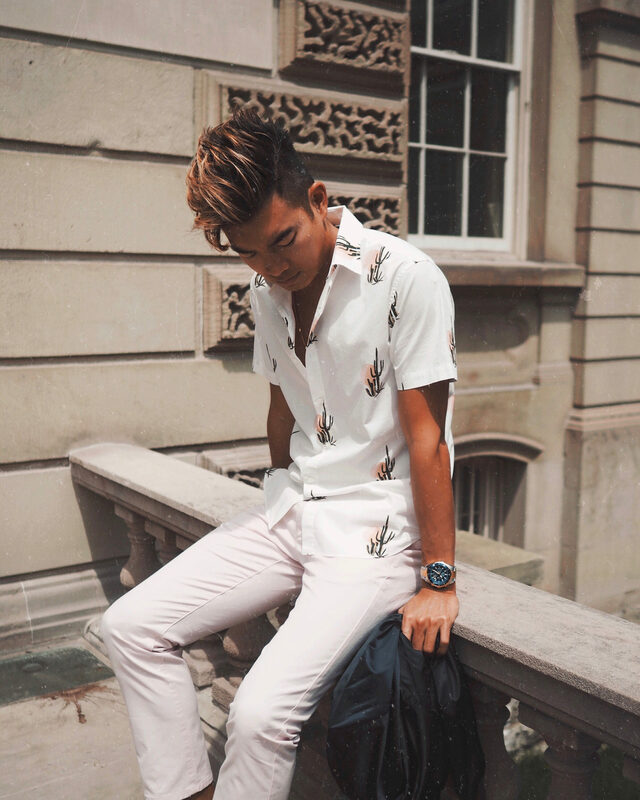 A subtle dose of color that also picks up the glowing sun in the shirt print. To top it all off, is the Boulevard Bomber Jacket in navy, adding a bit of darker contrast to the outfit and a light sheen.